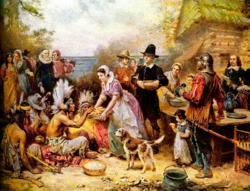 Thanksgiving commemorates the arrival of the Pilgrim Fathers. 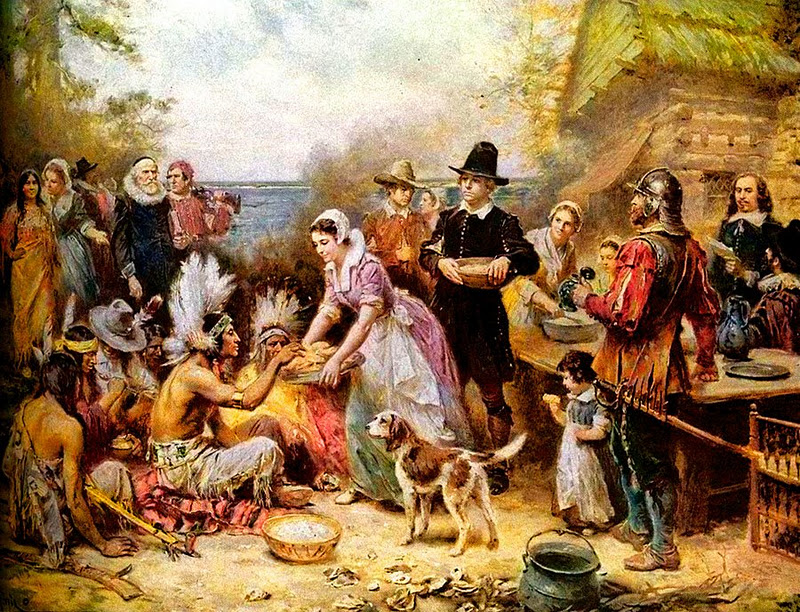 On the fourth Thursday of November, the Americans remember how the Pilgrims thanked the Indians (Native Americans) for their hospitality. 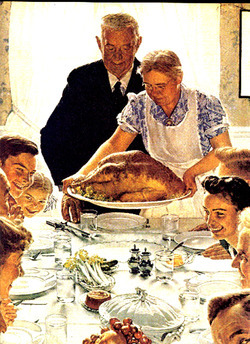 People commemorate it by having a big lunch with food that was discovered in America, such as turkey and pumpkin, etc. This document is a painting, painted in 1943 by Norman Rockwell (a famous american painter). It has become the iconic representation of the thanksgiving meal. Today the painting is exposed in Norman Rockwell Museum, Stockbridge, Massachussets United States.